Parts of the latest addition to the Fast and Furious series will be filmed in the Canary Islands. 27.06.2012 - The popular action film will, as usual, be produced by Vin Diesel, who will also star in this sixth offering. A team of 30 people have already been in Tenerife looking for locations. It is already known that much of the action will be centered in Santa Cruz and Puerto de la Cruz, with additional filming in the vicinity of the Tíncer High Performance Athletics Centre. Filming is planned to start around the last week in July or the first week in August, when a team of over 200 people will arrive on the island. It is expected to continue for five weeks, and a further week in Lanzarote has not been ruled out. Filming starts soon in London and Berlin with a crew that includes director Leslie Tomkins, already known in the movie industry for hits such as The Shining, Full Metal Jacket, Batman and Charlie and the Chocolate Factory. 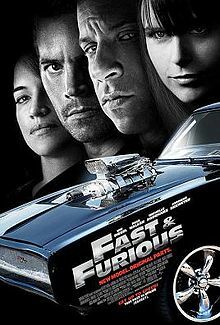 The Fast and the Furious is a series of action films that focuses on street racing and heists. Produced by Universal Studios, the series was established in 2001 with the eponymous first installment. For this sixth installment Paul Walker, Wayne Johnson, Michelle Rodriguez and Jordana Brewster will all step back into their previous roles, whilst newcomer Luke Evans will play the leader of a rival crew attempting to pull the same job as Vin Diesel and his gang. Fast and Furious 6 won’t be released until May 24, 2013, but the filming which will take place here in the archipelago is sure to entertain holidaymakers and residents alike. Produced with news.CMS in 0,0893 seconds.